October low tides this week, generated by the full moon, reveal the hidden world of tide pools at Point Dume. It's a strange and perilous world inhabited by ethereal and alien beauties and swift and deadly predators. 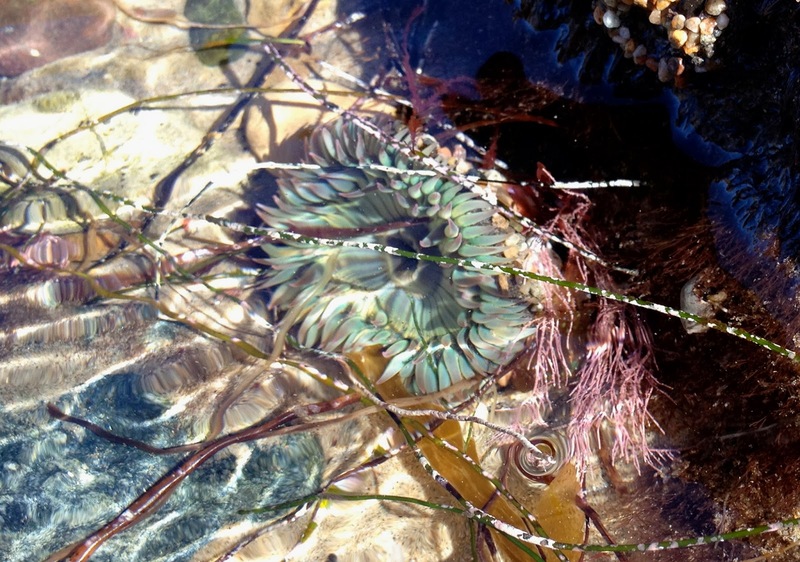 The afternoon low tides generated by the full moon on Friday offered an opportunity to explore that hidden world, which exists between the tides along Point Dume's rocky shore. 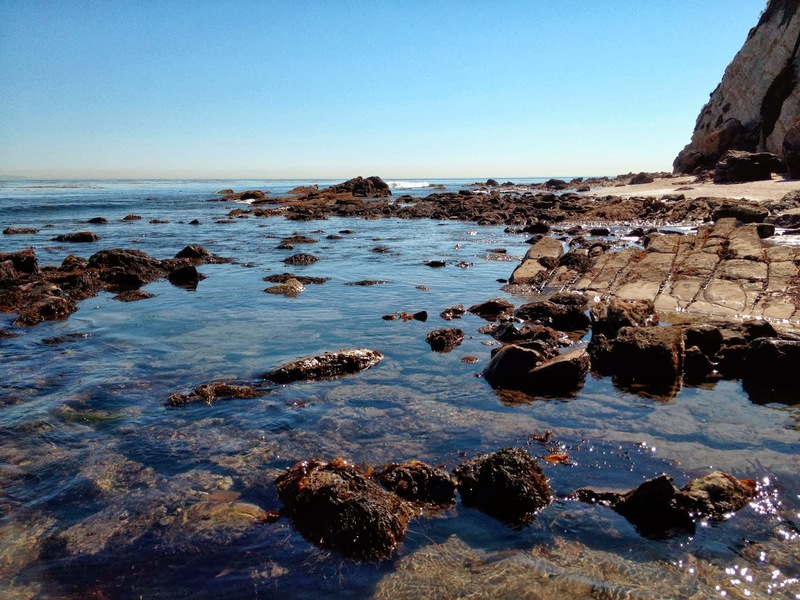 Volcanic rock, which weathers more slowly than the surrounding matrix of sedimentary stone, forms an elaborate network of pools along the shore from Paradise Cove to Point Dume. The entire area is now a Marine Protected Area. It's also an Area of Special Biological Significance. It's easy to see why: the rocks and colorful seaweeds hide an amazing variety of species, including crabs, snails, fish, anemones, urchins, starfish, octopus, barnacles, mussels, chitons, nudibranch, and a host of other organisms, that range from the mundane to the extraordinary. Anthropleura elegantissima, the aggregating anemone, lives up to its Latin name, with elegant but deadly tentacles that it uses to paralyze small prey. The green color is generated by symbiotic algae. A great egret forages for supper among the tide pools. Life in the intertidal zone is challenging. Organisms face pounding surf, periods of exposure during low tides. They are also impacted by pollution, and in some places are being loved to death by humans, who inadvertently trample habitat and disturb or remove plants and animals. According to the OC Marine Project, a study conducted by Richard Ambrose, and J.R. Smith, in 2004, "found that rocky intertidal sites within Santa Monica Bay were subjected to an alarming number of visitors at high use sites (25,000-50,000 visitors per year per 100 m shoreline)." 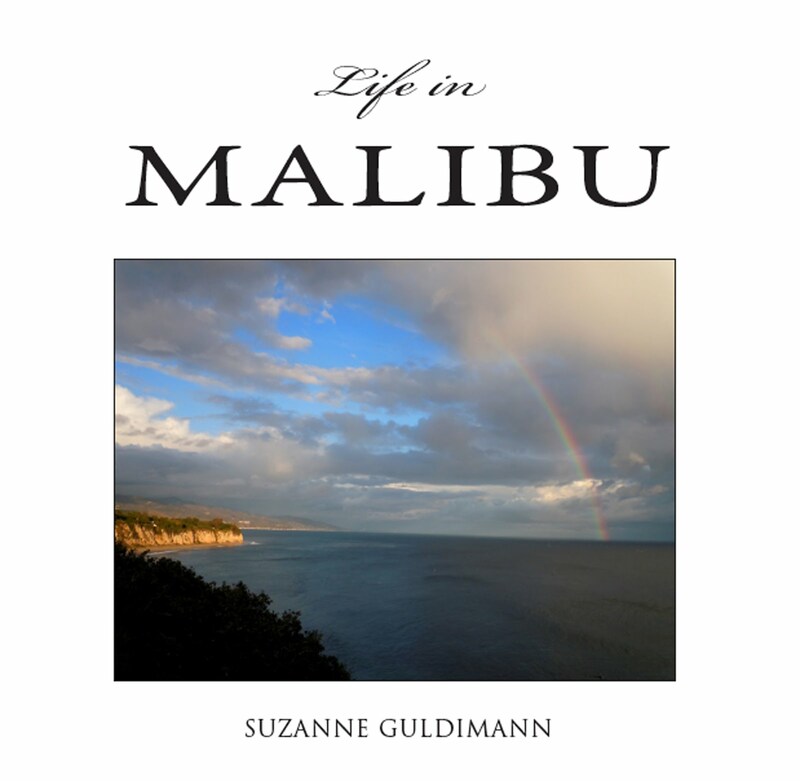 Point Dume's tide pools are still fairly pristine, due mostly to the fact that the visitors have to walk to the location, unlike areas that are located close to Pacific Coast Highway and easy parking. 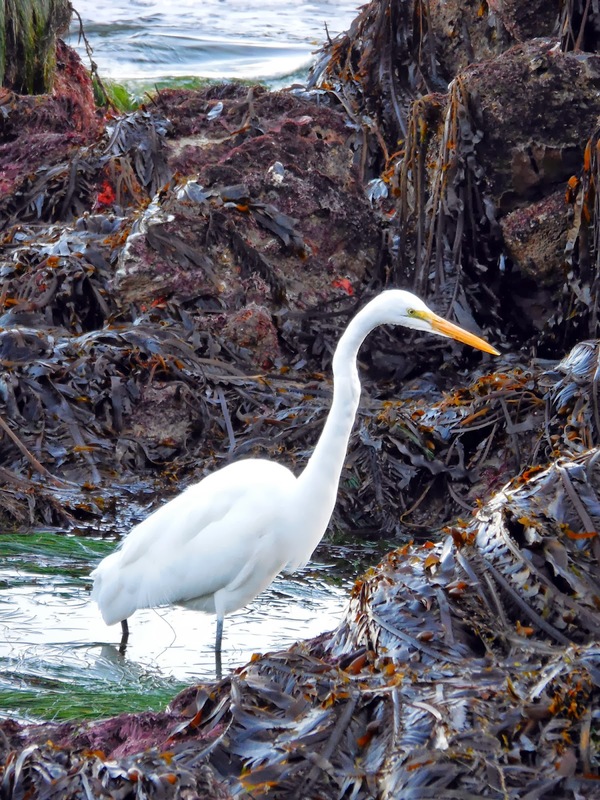 Humans enjoy exploring the tide pools for fun and education, but birds, like the great egret, above, and other coastal species depend on the intertidal zone for survival. For thousands of years, humans also depended on the rocky shore for survival. One has only to climb to the top of the Point Dume headlands to find the evidence: scattered all over the cliffs are the shattered remains of sea shells. Bits of mussels and clam shells are everywhere. Abalone shell fragments, still iridescent and beautiful even after hundreds of years, are a reminder of a vanished era when the Chumash made their home here. Abalone where abundant then. They were plentiful even when I was a child. Today, the shards that surface from the ancient Chumash settlement are almost the only reminder that this species flourished here once. It's a sobering reminder of just how fragile the balance really is. 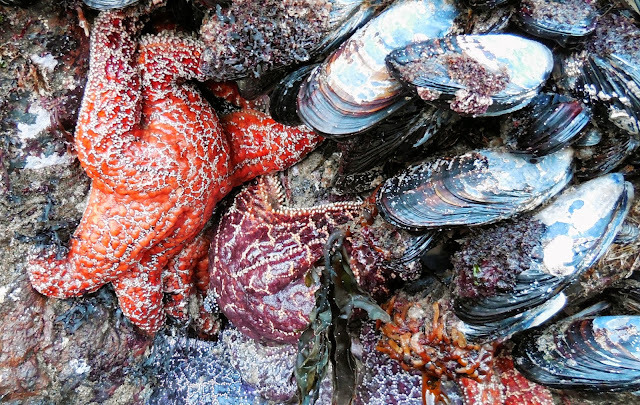 Ochre stars, which are more often orange or purple than anything that could be called ochre, and a colony of mussels occupy the rocks off Point Dume. These tide pools, located at the eastern edge of the headland, are constantly battered by powerful surf, but they are also protected from terrestrial predators, because they are only accessible by during the lowest tides.